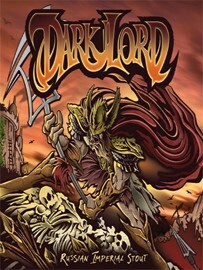 April 25 is Dark Lord Day, the annual free-for-all at Three Floyds. It's the one day a year when you can buy the brewery's Dark Lord Russian Imperial stout, and enthusiasts queue up for hours to buy a few bottles of it--as scalpers cut in line and then, when it's announced that the beer has sold out, try to resell bottles for $100 apiece to those who've waited in vain. Except that's not how it's going down this year, at least if the new system Three Floyds has developed works according to plan. Because Three Floyds can't meet the ever-growing demand for Dark Lord, it's instituting a "Golden Ticket" program to reduce the mayhem at the event. In order to buy the beer this year, you'll have to show up with a Golden Ticket, which will allow you to buy a certain number of bottles--how many hasn't been determined (it depends on how much beer there is and probably won't be announced until a few days before the event). Tickets are $10 apiece (proceeds go to charity, not toward the cost of your beer) and go on sale on the Dark Lord Day Web site next Tuesday; you have to register ahead of time to be able to buy them. Three Floyds isn't announcing what time the tickets will go on sale for fear that thousands of people all trying to buy tickets at once will crash their site; instead, they'll send an e-mail to everyone who's registered on the site when sales go live on Tuesday. Other details: there's a limit of two tickets per person and four per address; tickets are transferable to other people; you have to show up at the brewery between 11 AM and 6 PM on the 25th to be guaranteed a chance to redeem them. Answers to other frequently asked questions are here. And if you don't get a ticket? You can still go for the usual festivities--like live music, barbecue, and sampling of beers from the brewery and elsewhere (including Dark Lord)--but you won't be able to buy bottles of Dark Lord unless there are some left over at 6 PM. Among the beers Three Floyds will be selling is Popskull, a new German brown ale produced in collaboration with Dogfish Head that's being released this Friday at 4 PM at In Fine Spirits (5420 N. Clark).